A guided horseback tour is a great way to not only explore out-of-the-way terrain, but also to become familiar with the lay of the land and the island’s culture. Tours are as diverse as the terrain. Pick your way to the floor of a crater, descending 2,500 feet to the valley floor where a picnic lunch is served. 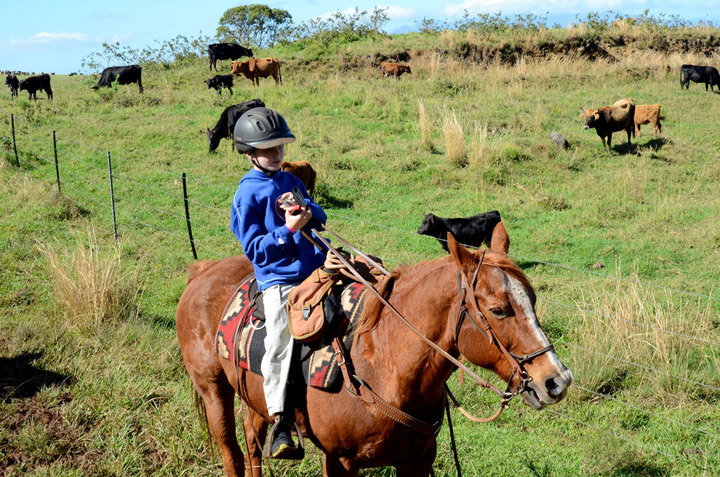 Ride through a generations-old, family-owned cattle ranch and catch terrific coastal views as you hear stories about Hawaii’s legendary cowboys, the paniolo. Maui is a wildly beautiful and ancient place where people still engage in traditional Hawaiian practices and tell stories of ancient culture, of ancient sites and battlefields, and of mythological ancestors whose deeds were larger than life.